2018 hasn’t been the start of the market that crypto investors and enthusiasts envisioned in late 2017 and January 2018 when Bitcoin was riding high and John McAfee’s $1 million dollar Bitcoin prediction in the next few years didn’t seem all that far off. In fact, February saw the market take an unnerving nosedive, which it’s still in the process of recovering from. Fill a much needed gap in today’s financial, social, economic, and blockchain ecosystems. Once again, it bears repeating that this article should be taken as an introduction to projects you’re unfamiliar with (or haven’t looked into in great detail), their core benefits, and why we like them. When investing in cryptocurrencies, remember to do your own research and never invest more than you are willing to lose. 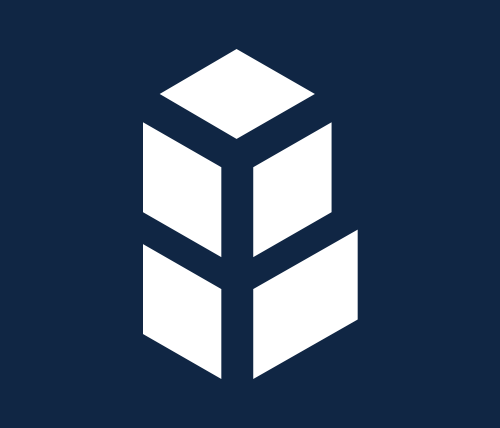 Simply put, Bancor allows users of the Bancor Network to instantly purchase or liquidate smart tokens for any connected tokens, and all at a price continuously recalculated to fit real-time buy and sell volumes. Bancor leverages smart contract capabilities to build liquidity into the tokens themselves – called Smart Tokens – connecting them to other tokens in the network, known as connectors, which carry the value and balance of another token. The result? An Internet of Value that is continuously connected due to each token’s autonomous liquid link to the rest of the digital and token economy. In Q1 2018, Bancor rolled out their Bancor Wallet along with their first fiat-to-crypto gateway, enabling users to purchase ETH with any major debit or credit card, convert it to any token in the Bancor Network, and store and manage it – an important step towards bringing crypto into the mainstream by allowing new users to buy and sell tokens without having to go through an exchange. With the cryptosphere beginning to recognize the power and practicality of decentralized value exchanges, Bancor has enjoyed record-breaking volumes across numerous member tokens in 2018, and currently ranks atop DEXs by transaction volume – at a staggering 46.57%. Bancor boasts over 90 active tokens on the network, supporting over 4,300 token pairs (e.g. ETH to EOS, BNB to DAI) and is rolling out even more in 2018 (114, to be exact). You can check out the projects that have announced their intention to integrate the Bancor Protocol here. At present, Bancor Protocol is only compatible with Ethereum-based tokens. However, they are making an aggressive push to support additional blockchains after their integration of every single Ethereum token in 2018, removing token purchase and conversion friction while drastically increasing cryptocurrency adoption rates. With a relatively illiquid ecosystem, Bancor affords users an easy, low-cost way to buy and sell tokens from one point of ease, and all via fair, transparent, and auditable smart contracts. At the time of writing, Bancor’s price sits at $3.95 per token or 52,738 Satoshis. If you’d like to read up on Bancor, you can check out their website, and their whitepaper. You can also join their community on Reddit, Twitter, and Telegram. QLC Chain’s utilization of blockchain technology enables the application of digital identities to telecom assets, the repackaging of those assets, and recordation of asset usage footprint to a distributed ledger. By allowing the registration, authentication, and trade of a variety of telecom assets on the network, owners are able to share and transfer their usage rights via smart contracts and collect rewards (QLC tokens) in return. Additionally, QLC Chain is launching applications designed for P2P sharing of mobile assets, such as Wi-Fi, enterprise-to-peer SMS, and mobile data access, providing more than just an application, but an ecosystem in itself. Imagine no longer having to purchase phone services from a wireless provider, instead purchasing a data plan and other mobile necessities from your peers – and all at a fraction of the cost of traditional mobile providers. QLC Chain envisions a future where users no longer have to pay exorbitant fees due to centralized telecom providers looking to recoup costly cell tower and line installation and maintenance, a future that puts the power of connectivity back into the hands of mobile users themselves (over 2.3 billion, to be exact), eliminating reliance on 2,000+ monopolistic, expensive, and inflexible mobile network operators around the globe. And QLC hasn’t even rolled out their testnet yet, which is expected in Q3 of this year. At the time of writing, QLC Chain sits at just under $0.11 or 1,491 Satoshis. 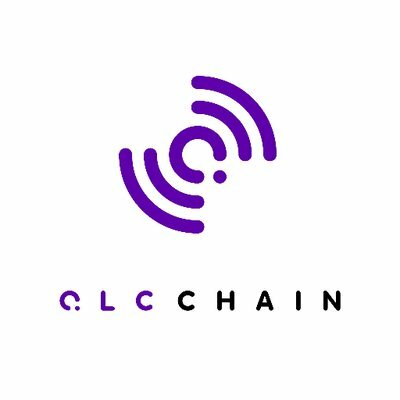 To read up further on QLC Chain, you can check out their website, and Medium. You can also join them on Twitter, Reddit, and Telegram. To see what else they have in store for 2018, you can find their roadmap here. Sporting one of the more unique names in the cryptosphere and built on the Ethereum platform, the Melon Protocol is a blockchain protocol and collection of smart contracts for digital asset management, which enables users to create, manage, and invest in digital asset management strategies in a transparent, competitive, and decentralized manner. Think of Melon as an autonomous toolbox for any user who has access to digital assets that require some sort of management. Melon is designed specifically for the purpose of crypto asset management, replacing traditional asset management middlemen and allowing users to perform the above tasks at a fraction of current costs, coupled with security, transparency, and minimal trust. The Protocol: A collection of smart contracts enabling fund managers to establish asset management funds with predefined parameters at reduced cost, which incubates those funds in the defined parameters, all while allowing you to invest in other funds and have others invest in yours. The protocol may be used to manage both protocol tokens, as well as more traditional assets – which are quickly migrating to the blockchain by the day. The Portal: The graphical user interface used by Melon investors to set up their fund, select investment modules, and deploy it on the Ethereum blockchain. The Melon Token (MLN): A “usage and political right” to the Melon software, incentivizing users to continue engaging with the platform. The Ecosystem: Everyone interacting with Melon in some way, including Melonport AG (the company behind Melon), fund managers, financial and compliance module builders, and support entities (e.g. bug and security testers). Boasting the slogan, “Disrupting the US $84.9 trillion asset management industry, one block at a time,” Melon has been meeting deadlines and growing a healthy following since its rollout on the Ethereum platform nearly 2 years ago. In just 2 years, Melon has made their protocol a reality, completing 2 out of their 3 prescribed phases for full functionality. Having established a foundation for users to build portfolio structures and trade ERC-20 tokens in a decentralized manner (Phase 2), Melon is looking to finetune and finalize the governance structure and frontend of the Melon Protocol before deploying it in its entirety, allowing for an autonomous and self-sustainable asset management system. The Melon Protocol is very much the embodiment of product before marketing, a rarity in the crypto ecosystem, where projects often opt to sell an idea rather than an actual reality. And, now with a core foundation laid on the Ethereum blockchain, Melon is ramping up its marketing and communications efforts, striving to secure several key partnerships with “key industry players in the financial space” in 2018. For those wondering about Melon’s price, it’s sitting nearly 5 times lower than it’s all-time high in January, 2018, at a modest $40.44 or 539,373 Satoshis. Curious to read about Melon further? Check out their website and roadmap, or follow them on Telegram, Reddit, and Twitter. Often dubbed “PayPal 2.0,” the Request Network is striving to achieve so much more. The Request Network isn’t bringing just a new payment service to the blockchain, it’s implementing a highly advanced decentralized financial network, allowing anyone across the world to request a payment (Request Invoice) and secure its arrival, all with a single click. 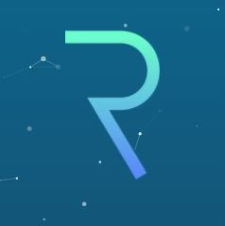 Request’s universal, smart, and decentralized ledger supports 100% of global transactions, regardless of currency, language, or legislation, integrating computerized trade code and numerous payment terms into every transaction, ultimately resulting in cheaper, quicker, and more secure global payments. The Core Layer: Request’s bottom layer consists of the most basic and essential of smart contracts, handling currency conversions and payment processing. It also supports discounts, tips, refunds, and other basic additions and subtractions, and is free to use (minus ETH gas cost). The Extension Layer: Geared for more complex payment requests not covered by Core Layer capabilities, the Extension Layer includes rules for calculating taxes, escrows, advances, and payment terms. For example, the Extension Layer may enable tenants to break their rent payments into 30×24 payments to their landlord in order to avoid high end-of-month costs, or companies to automatically reroute taxes in real time to government agencies. The Application Layer: Request’s topmost layer, which takes place outside the blockchain, connecting various company systems (accounting, tax, debt recovery, collection, and auditing) to Request to generate requests and access information. And, to top it all off, Request boasts a reputation system to guard against poor actors and phishing attempts, with automatic alerts and warnings generated for parties who have rejected and failed payments. Like a mongoose poised to strike against a cobra, Request has positioned itself against payment monoliths such as PayPal, Stripe, and Zelle, doing away with the costly transaction fees (ranging from 1.5–6%) that plague online payment channels and users. If you’ve ever received a payment via PayPal, you’ll likely understand the hassle and lost costs associated with their 2.9% transaction fee. Imagine receiving 100% of your asking price, with no merchant fees, and instantly. Welcome to Request. Q2 is more privacy focused, with research geared towards the application of zk-SNARKs, ultimately allowing only payer and payee to view requisite transaction information. Q3 is set to take on extending the functionality of the Request network, for example, deploying escrow, tax, down payment, and late-fee extensions – all contributing to a robust and secure all-in-one financial ecosystem. And last but not least, Q4 2018 is set to deploy a governance system, IoT framework project, intercurrency settlements, and their “Continuous Payment” extension (meant to act as a down payment with an infinity of micro payments). Mix in proven execution and an aggressive 2018 ahead with several core partnerships, such as PwC France and Digix, and Request is primed and ready for a gargantuan 2018 and beyond. Peaking at just over $1.00 or 6,500 Satoshis in January 2018, Request currently sits at $0.14 or 1,913 Satoshis. To read up further on Request, check out their website and Medium. You can also join them on Twitter and Telegram. Imagine a permissionless and decentralized platform for information aggregation (from both human and AI) and quantification, allowing you to effectively place a numerical value on say, the chances Dubai’s world record for largest New Years Eve display is overthrown in 2019. Or maybe you’re looking to place a number on Apple’s stock price at the end of Q3 2020, or where Amazon will pin down as their next headquarters. Cue Gnosis, bringing data context and objectivity to present day prediction markets. 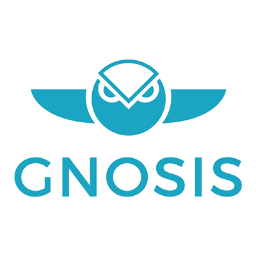 Gnosis is tackling the unbalanced, opaque, and heavily controlled dissemination of information by key global actors, such as governments, firms, and other organizations, by offering an open, equitable, and transparent platform for questions, predictions, and information exchange. Gnosis is democratizing the flow of information as we know it, aiming to be the next “Google of customized Internet searching” and the world’s most efficient forecasting tool via their blockchain platform, thus bridging real-world events and prediction markets and oracles. Despite documented efficacy for information aggregation, prediction markets have yet to attract mass attention in the realm of decision-making and forecasting. However, with the invention of P2P computing technologies such as Bitcoin and Ethereum, market-based forecasting is now able to scale rapidly, sanctioning further exploration and growth at unimaginable rates – and Gnosis is at the forefront of it. Information gathering: Gnosis will enable the purchase of superior information (expert information) and sale of device data. For example, a market could be created to ascertain the price of a piece of art before auction, saving auction houses millions by advising them where to begin auction pricing and how much profit to guarantee sellers. Incentivization: “Has X action occurred by a particular date?” Prediction markets can incentivize users to complete actions and resolve the market in their favor. Futarchy: Prediction markets offer an alternative for governments and institutions to implement policies and other decisions. Financial instruments: Gnosis’s prediction markets will authorize more specific and nuanced expressions of economic events at the micro and macro level. 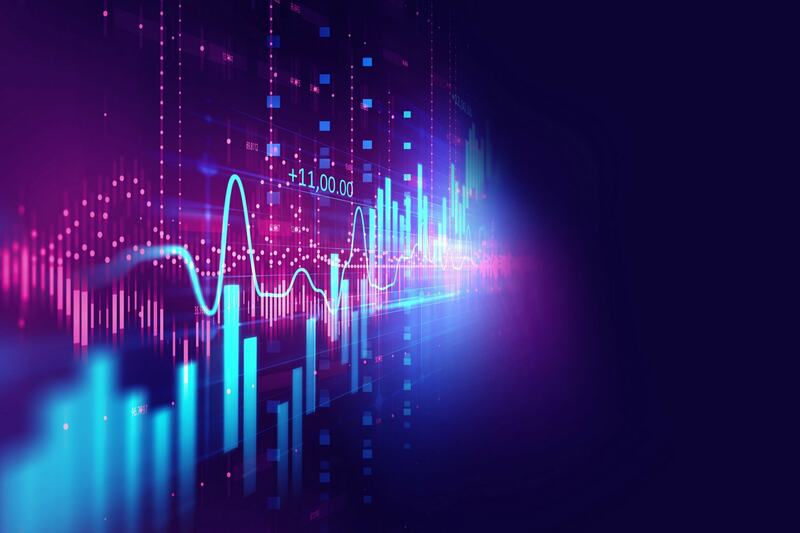 Insurance and hedging instruments: Highly liquid prediction markets are surprisingly accurate in assessing and determining the likelihood of future events and the risks associated. An insurance prediction market could serve to replace existing actuarial models and reduce exposures to financial risks. In order for such prediction markets to truly disrupt traditional information aggregation and dissemination, they must be universal and drawing from a global liquidity pool. 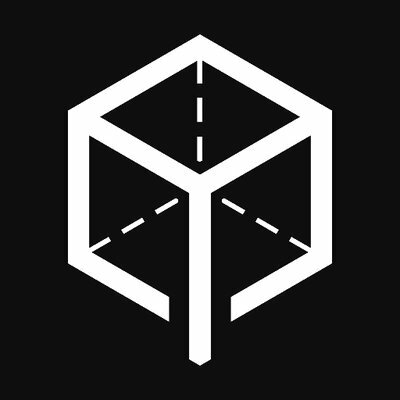 Gnosis expands upon existing narrowly defined and concentrated dissemination parameters, equally enabling anyone to participate in the market and, ultimately, creating new classes of predictive assets and information aggregation. If you’re unsure of the inference here, the creation of new classes of new predictive assets and information aggregation is set to introduce never-before-seen innovation and overhaul to countless existing markets. At the time of writing, Gnosis’s price sits at $69.82 or 929,803 Satoshis. If you’d like to read up more about how prediction markets are disrupting the traditional dissemination and flow of information, check out Gnosis’s whitepaper and roadmap. You can also follow them on Twitter, Reddit, and Telegram. Did we miss any projects? Let us know in the comments which dapps are your favorite and which you think are set to take off in 2018. Can you guys do and article on Daneel AI? I think it’s seriously undervalued. Great article. Really educational. When was the article on Melon written? Am asking because it’s currently trading for $5.67 with a market cap of around $6m.